What Is an Extended Warranty on a Car? An extended warranty is a safeguard against the cost of unforeseen repairs on your car, and lasts longer than your vehicle’s standard manufacturer warranty. You have the option of purchasing an extended warranty when you first buy for vehicle, or you can purchase one later. The earlier you purchase a warranty/service contract in the life of the vehicle, the better coverage you can usually obtain. With the ever-increasing cost of vehicle repairs, an extended warranty for your car makes a lot of sense. Is an Extended Warranty Right for Me? 1. How much does the standard manufacturer warranty cover? Warranties are often available on both new and used cars. If you’re looking at buying a used car, there may be a portion of the manufacturer’s warranty remaining. Look at how much warranty is remaining on the vehicle you are looking to purchase. Also look at what elements your manufacturer and powertrain warranty cover, and see what additional items will be covered by your extended warranty. 2. Is the Extended Warranty transferrable? Some extended warranties are transferrable if you decide to sell your car before the end of your warranty. There may be differences in deductible, and you can pay per visit or pay per repair. Be sure to understand the difference before you buy an extended warranty. 4. Who is providing your extended warranty? If you choose to purchase your extended warranty through a third party be sure to completely research the provider before signing up. While some aftermarket warranties may be cheaper than if you sign up at your dealership or the factory, some providers have been known for dishonest practices. There is a range of extended warranties available for purchase with prices varying depending on length and coverage. If you’re planning on purchasing an extended warranty through Vernon Nissan, we can help you choose a warranty plan with coverage that’s adequate for your needs. Be sure to check whether your warranty offers breakdown coverage as well as basic wear and tear. 6. How reliable is the vehicle you’re looking to purchase? Research the vehicle that you intent to buy and make note of any known mechanical problems. Are these issues covered by warranty? Has the manufacturer issued any recalls? If your preferred vehicle has known issues not covered by your factory warranty, then it may be worth the additional security of an extended warranty. 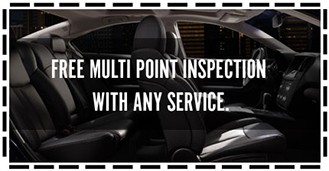 If you plan on purchasing a pre-owned vehicle from Vernon Nissan, you can rest easy knowing it has gone through a comprehensive inspection process to be sure it is free of any mechanical defects. If you’re looking for an extended warranty on a new or used vehicle, Vernon Nissan may be able to meet your needs. Contact us and someone from our professional sales team will help you understand all of the options available to you.